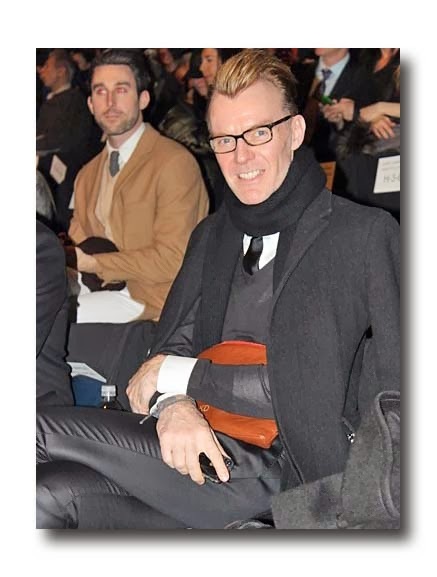 Lieba: What are some of the trends you are seeing this fashion week? Ken: There is a lot of gray. Gray is very important- Fifty Shades of Grey and then some. Also Loden green everywhere, cobalt blue- and winter white is ubiquitous-winter white with grey is a very important story. Every designer is doing their version of a shearling coat. Knit dressing is very important: a knit pant, a knit skirt, a knit coat with a knit sweater-so this idea of continually wearing knit on knit is a pivotal trend. Additionally, draw pants everywhere with a sporty attitude worn in an unexpected way - it can be leather or it can be lamé and often paired with a big chunky sweater. Everyone loves the idea of outerwear. 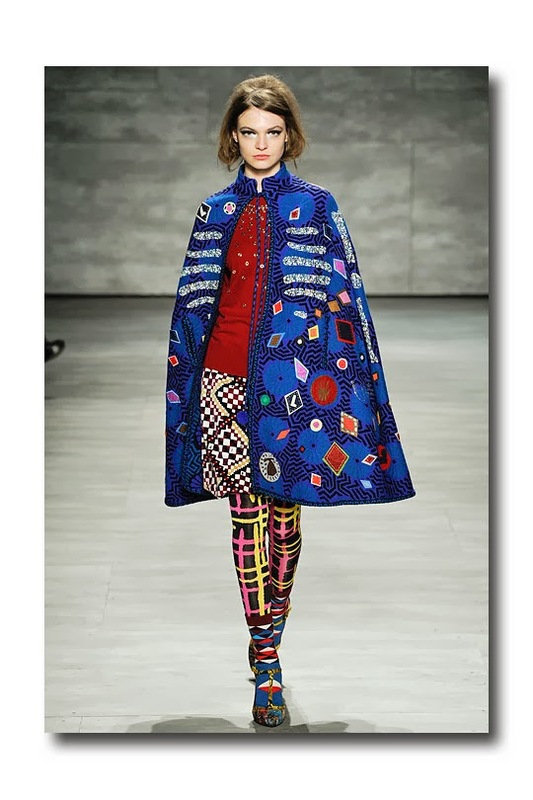 Additionally, we are seeing a nod to the global wanderer on the runway with references of Sante Fe, Japan, China, Napal and Guatemala; not in the sense of a national costume but taking a hint of another culture and weaving it into a very modern wardrobe. It is not about dressing head to toe in one particular culture but picking a theme, a pattern, or a print and incorporating it into a modern wardrobe. I love that, because it is bringing us embellishments, textural fabrics with lots of details like fringe, and beading, and even sequins resembling multicultural patterns. This is very appealing and it's something customers are going to love. Another big trend is pantsuits all over the runway. Lieba: How many fashion shows do you go to in a day? Ken: I see anywhere from 14 to 16 shows and presentations a day. I have about 150 on my calendar in the week and if I get to 127 of them I am going to feel really good. Lieba: What's been your favorite show? Ken: This season, I must say Prabal Gurung had a gorgeous show and it was one of my favorites. It is hard not to mention the spectacular shows Karl Lagerfeld puts forth at Chanel and the over the top shows that Alexander McQueen, when he was with us, and that Sarah Burton does to this day. The McQueen shows are high drama, super cool and you never know what to expect- always amazing and almost like a Hollywood production. Lieba: What is the most memorable show you have been to? Ken: The most memorable fashion event was the Valentino party in Rome when he was retiring. Three days of non-stop parties, events and fashion shows. It was probably one of the most over the top weekends I have ever experienced. 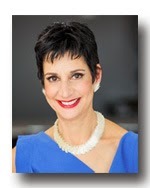 Lieba: Who is your target customer at Neiman Marcus? Ken: If you are 17 or 77 you all want to look like you are 25 - I want to look like I am 25. She is a woman who embraces fashion; a woman who loves trends and really wants to look beautiful. She has a feminine quality to her. The Neiman woman doesn't want to look bizarre or odd; she wants to look her most chic and feminine. It is a woman who likes looking like a woman and wants to look confident in her clothes and that is what I look for in fashion shows. Lieba: Who is your biggest selling designer? Ken: Brands our customers love to wear are Chanel, Yves Saint Laurent, the Row by Mary Kate and Ashley, Givenchy, Oscar de la Renta and many brands from all over the world. Lieba: Any designers you are looking forward to seeing? Ken: I am excited to see what Proenza Schouler puts forward because they are very directional. It is interesting to see Mary Kate and Ashley at the Row and Dries Van Noten- people always pay attention to what he does. Also Phoebe Philo- it's a big Celine moment; whether they admit it or not, Phoebe is just in the air. Lieba: Any celebrities whose style you admire? Ken: I love Diane Von Furstenberg. My mother brought me to meet her at a department store when I was 8 years old. I am more inspired by celebrities when they look amazing as opposed to when they don't. Sometimes stylists lead them down the wrong path. The clothes should be worn by you; you should not be worn by the clothes. I am never happy to see a celebrity overwhelmed by her clothes. Lieba: Any examples you can think of? Ken: No, I would never say that out loud. Lieba: Who do you like to wear? Ken: I wear a lot of Prada, a little bit of Givenchy-it just kind of depends. Lieba: What is the biggest perk of your job? Ken: Being with my customers - it is everything in the world to me! I love spending time with women in stores. A lot of people come into fashion for fame but I am in it because I want women to look their best. Moreover, we don't accept free things; as it is part of our company policy. Gifts are not a part of our culture because you want to make sure you have a very balanced opinion of a collection. You don't want to be swayed because you might have been gifted something. We like to keep it an even playing field. Lieba: Do you feel like you can see the collection online or do you feel the need to go to a show in person? Ken: I do a lot in person, but when there are 3 or 4 shows at the same time I follow it online. I like to see the clothes up close and personal because I want to make sure the fabric weights are appropriate and the hand of the fabric paper is not made out of chewed paper or twisted rubber bands. Unfortunately, sometimes you can be fooled by what you are looking at on the runway. We have to make sure the fabric quality is good and discuss prices-we don't know what anything costs when we see it on the runway. We always go back to the showroom and make our decisions. Lieba: How do you stay so grounded? Ken: You can blame my mother for that. I think there are a lot of divas in fashion and I never want to be that diva. This is my job and I do it for the women not only in the United States but for the global woman because we have a huge following all over the world: Russia, Canada, South America etc. Lieba: Any plans for Neiman's future? Ken: As long as I am standing I am going to keep on doing this. Lieba: Last Question- Can I ask you a little about your haircut and what it is inspired by? Ken: It is inspired by going to Europe and being their five weeks and my hair turning into a mop at the end- a big pile of nothing. So I cut it all off- and it also has a bit of a David Bowie influence. Yeohlee Teng, creator of the influential urban nomad collection and a designer with a permanent costume collection at the Metropolitan Museum of Art, showed Monday at her atelier/store located at 12 West 29th Street. Presenting her Fall 2014 women's line in her tiny jewel box presentation space to the industry's most venerated, influential and well-respected, including past president of the CFDA Stan Herman, FIT museum director Valerie Steele and fashion law pioneer Susan Scafidi, Yeohlee also introduced her men's line. Citing the DeStijl art and design movement, headed by Dutch artists Piet Mondrian and Theo van Doesburg, that rejected pre-war decorative tendencies as her inspiration, she used this as her jumping off point. 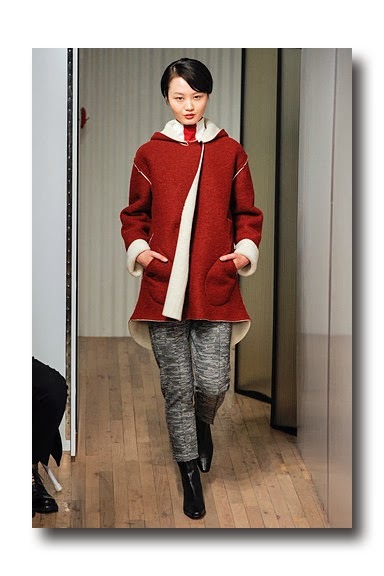 Her collection displayed a sophisticated, earthy vibe with fabrics ranging from a blood red boiled wool bonded with creamy faux fur in a coat to a tech-y beehive woven reversible jacket with a cream cotton backing. She showed abstract patterns in a cream silk crepe de chine tank and PJ pants under a black paisley border tuxedo jacket, which marked a bit of a departure from her usual less graphic designs and solids. Yeohlee's signature look is in her cut and construction: she minimizes seams and treats fabric as sheets of material with almost no interruptions. 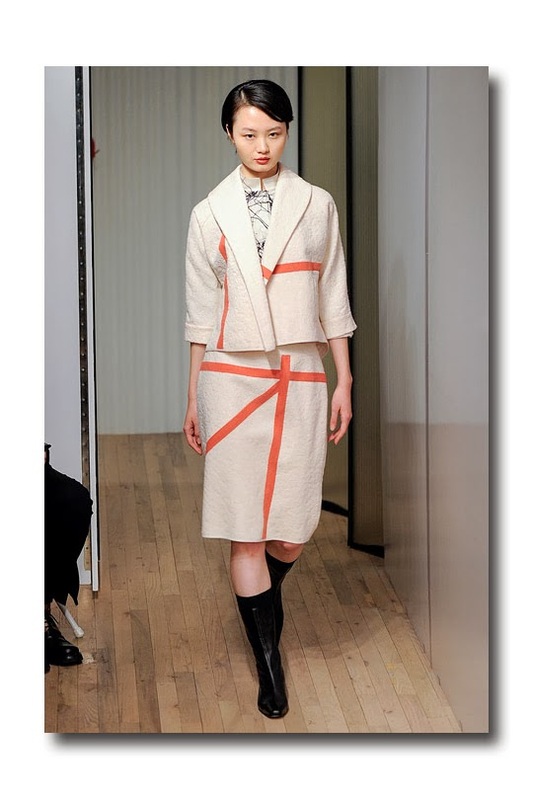 When she does use a seam, it is featured as a decorative element as in her peachy pink stripe brocade De Stijl jacket and matching skirt.. The men's outerwear featured a similar blood red boiled wool jacket that was used as a coat for the women; a charcoal felted wool architect coat (Yeohlee also did a women's version), as well as a loden boiled wool army coat that was a real standout. This award winning designer is also a strong proponent of the fight to save the garment district from re-zoning to hotels and other commercial uses. She locally manufactures all the looks which she cuts, creates and constructs in her workroom behind the store. Yeohlee spearheads the movement and was the first designer to put her retail store in the middle of the garment district along with her workroom. She is often inspired by architecture and believes that "you have to create some magic around what you do", which she seems to accomplish with each new collection. I was just about to fall asleep and then the Libertine show began, and I literally woke up. As an art history major who especially loves the French masters (like Van Gogh), AND a longtime fan of Libertine, I knew I would love the Libertine fall collection when the colorful invitation arrived with the slogan emblazoned, “In Van Gogh We Trust”. Among the other things it had going for it, it was held in the Pavilion at Lincoln Center: open, airy, spacious, and everyone had a front row seat. Known for their artistic and highly inventive use of color and pattern mixes, they have a signature which is predicated on impeccable proportions, unexpected juxtapositions, and infusing different time periods. While the show featured both men’s’ and women’s’ clothing, it was definitely the latter that shined, literally. The label, with Johnson Hartig as its Creative Director, also happens to churn out seriously fabulous coats from one season to the next; and this time was no exception. If you, like me, would rather spend money on something amazing, than on a simple camel coat, Libertine is worth checking out. 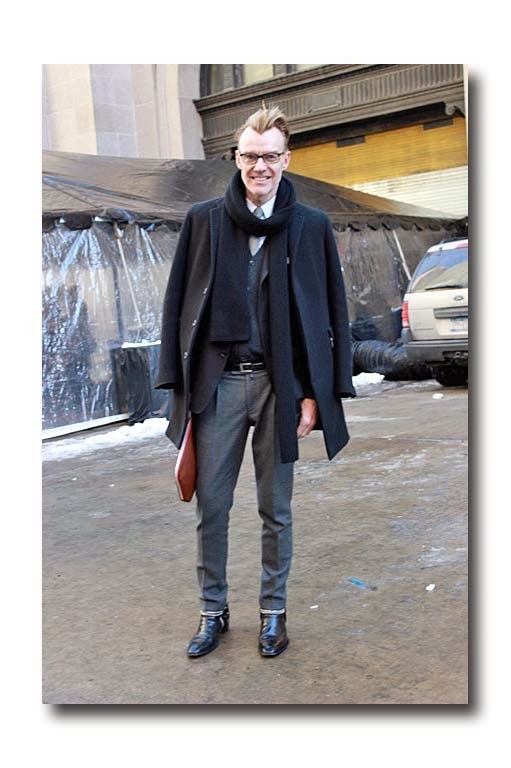 Johnson has a special knack for taking classic menswear patterns (plaids, herringbones, etc. ), and unapologetically vintage, almost dowdy shapes, and making them look completely modern and of the moment, which is achieved through striking the right balance between the subdued and colorful; boy meets girl; matte and shine. 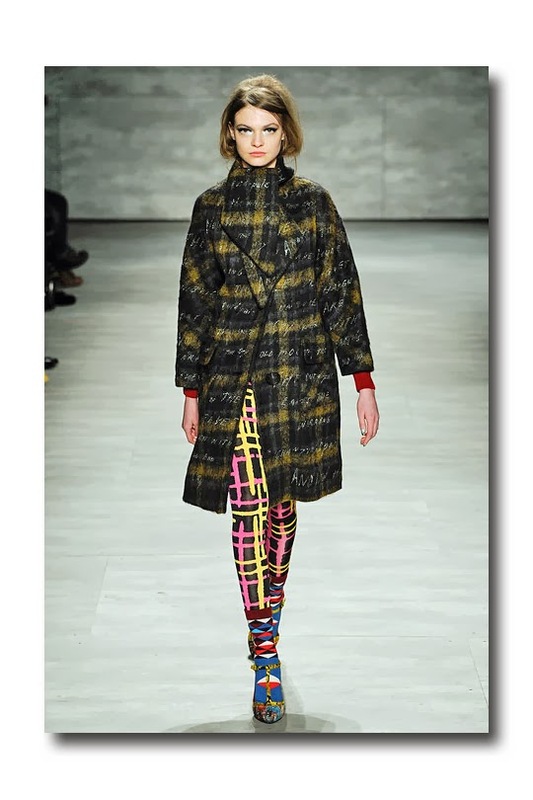 Colorful, art inspired patterned tights, courtesy Happy Socks, were used throughout, as were the high heeled and equally colorful and patterned t straps and jazzy sandals. And at a time when art inspired graphically patterned furs have never looked better (Prada anyone? 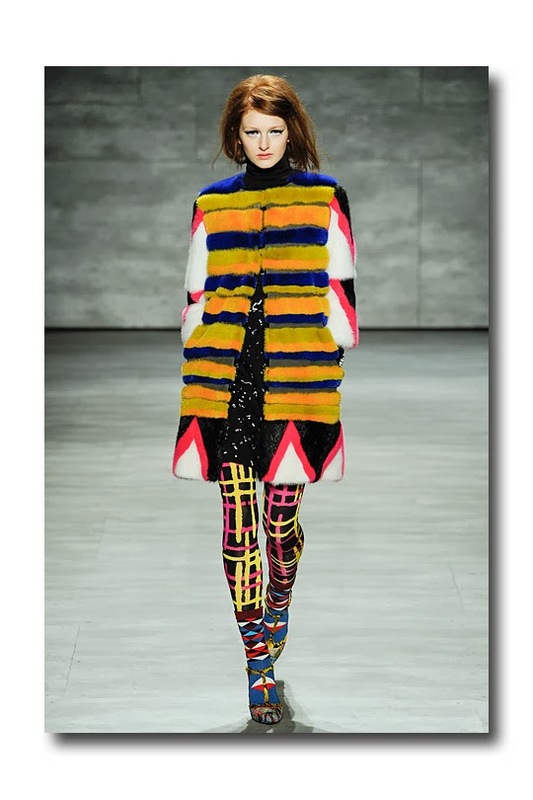 ), their colorful rendition, in collaboration with Pologeorgis Furs, was standout, and a true collectors’ item. 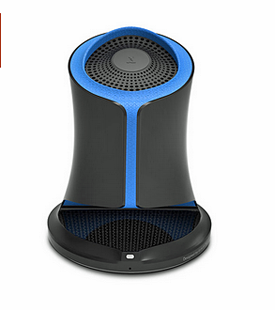 Enjoy amazing 360-degree sound from this stylish speaker that is small enough to take anywhere. The unique design has top and bottom firing points that deliver crisp, clear sound, even at high volume. It has NFC Bluetooth streaming and will play for up to 5 hours on a single charge. 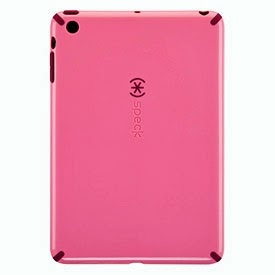 Your precious iPad mini deserves the ultimate in protection. This case offers a shock absorbing soft inner layer and an impact resistant hard outer shell. It’s available in five colors.